Blow up the floaties and splash into summer with pool parties and hangouts, all starting with free and Premium online invitations from Evite. Plan a blowout bash for all your friends, or just get together to relax poolside with a few favorites. 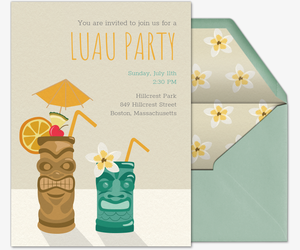 Our Pool Party invitation gallery features dozens of summer-themed designs for all of your pool activities. Planning another summer activity? 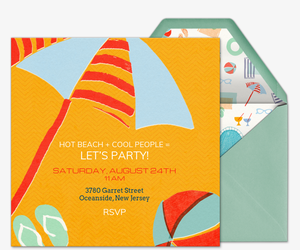 Embrace the heat all summer long with our outdoor fun invitations, like beach parties, BBQs, picnics, 4th of July, and more. 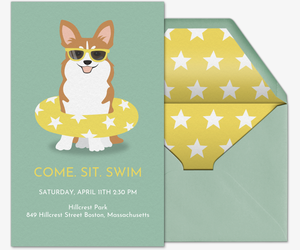 Plan your pool days the quick and easy way with our hand-illustrated digital invitations. Going paperless means you can track RSVPs, manage your guest list, send messages, post comments, and share photos all in one place, at any time of your event. Missing a few email addresses? Just post your invitation’s shareable link on social media, or send it as a text message. 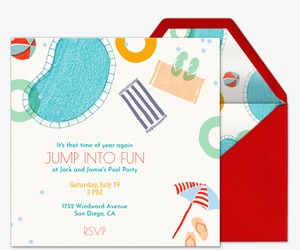 Make your pool party pop with Premium invitations. 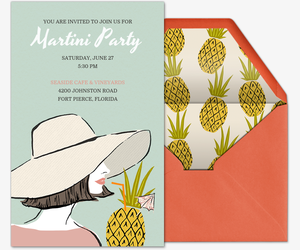 Evite’s ad-free Premium invitations are priced based on the size of your guest list, and include matching envelopes and stamps. You can also insert additional photo and text cards. 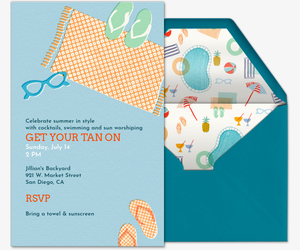 Dive into summer party pointers at ideas.evite.com. Get clever tips from our complete pool party guide, or get creative ideas about kids’ pool party favors, luau parties, outdoor DIYs, party punches, snacks, and more. 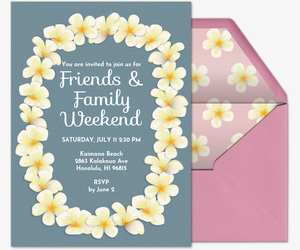 Browse the rest of our invitation galleries to plan all your other celebrations and occasions as well. Evite also has invitations for birthday parties, weddings, baby showers, dinner parties, casual get-togethers, professional events, and more.